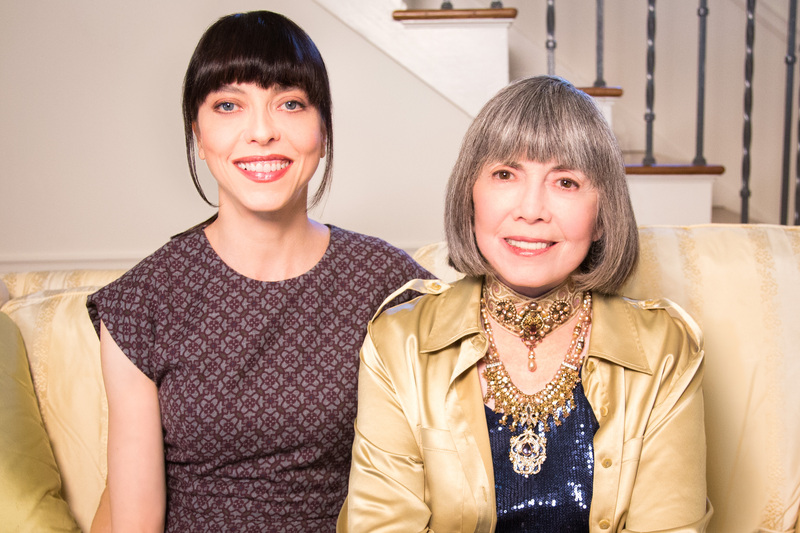 We spoke with TV/Film actress Juliet Landau known for her recurring role as Drusilla in Buffy the Vampire Slayer as well as many film roles such as Ed Wood. Juliet is now stepping away from acting and launching a very exciting documentary based on vampire culture…. I was ballerina, so I was always a performer. My parents are actors but I never thought I would become an actress. I started finding the dance world narrow and insular at a certain point. I took an acting class and fell in love with it. It was amazing to use language as well as physicality for creative expression. I was excited by discussing conceptual ideas, character arcs, having a verbal exchange. It was inspiring! You portrayed the role of Drusilla in BUFFY THE VAMPIRE SLAYER and it’s spin-off ANGEL. How did you develop this character? I had this incredible creative meeting with Joss, producer/writer David Greenwalt, producer Gail Berman and the head of casting at FOX, Marcia Schulman. I never read for the role. Joss had seen my work in ED WOOD and another film, I believe. We all had this fascinating, stimulating conversation, where we bounced ideas off of one another. I left and before I even got to my car, my agent called and said that they wanted to hire me. Joss called me in for a meeting and he filled me in on everything that he wanted. He said that Spike and Drusilla had been running around in his head for 10 years! He said all these disparate adjectives… They were quite daunting. He said, “Dru is delicate… but she is strong. She’s weak… but she’s powerful. She’s childlike… but she’s sensual. She’s loving… but she’s evil.” I left and thought, “How am I ever going to do that?” And then I started putting the pieces together. All of the dimension and contradictions were what made the character so much fun to play. 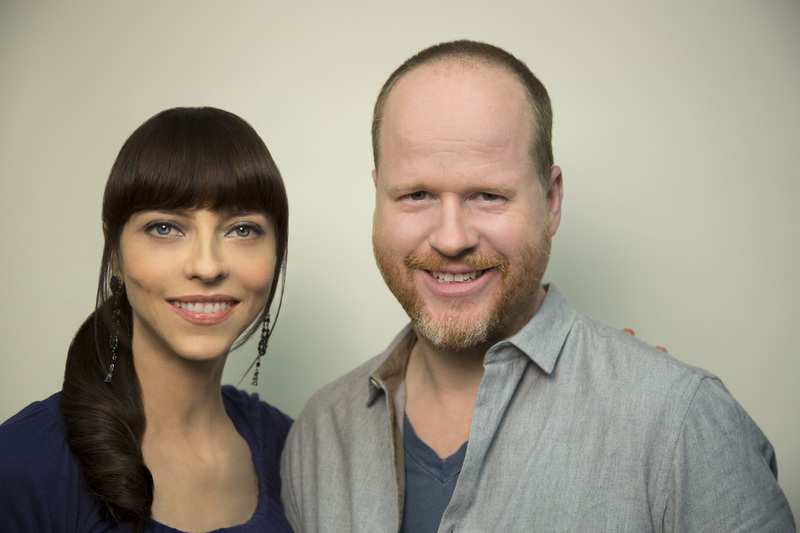 What was it like working with legend Joss Whedon? He is brilliant. It is truly a dream to work with him and to get to say his words. He created such a specific universe for us all to play in. He was involved in every detail… Every one was inspired to bring their A-game. It was really too much fun! You shared many scenes with your co-star and vampiric lover Spike (A.K.A James Marsters) – How was your relationship with James on and off set? James and I had a phenomenal acting chemistry right from the get-go. He was a theater actor and so was/am I. It really was a dance between us, or a tennis match, with true “moment to moment” acting, as they call it. We often surprised one another in scenes. Things happened in a very organic way. We would get together to rehearse when we got the scripts, so we were able to explore stuff while shooting, rather than trying to find it on the day. TV schedules shoot fast, so it was great to come in very prepped. Are you still in touch with any of the cast/crew from the show? Yes. They are a great group of people so we have remained friends. Tell us about your upcoming vampire documentary A PLACE AMONG THE UNDEAD and how our readers can get involved? Through the years, whenever I’ve hung out with creators, writers, directors, actors who have lived in the vampire universe, I have had the best conversations… Interesting, funny, insightful discussions… and I’ve always thought, I wish people could see this! …The stuff never shared before… The camaraderie, the insider’s view. So my husband Deverill and I finally started it. So far we have interviewed Joss Whedon, Tim Burton, Gary Oldman, Willem Dafoe, Anne Rice, Robert Patrick, Charlaine Harris, Kevin Grevioux and Steve Niles among others. Moving on from UNDEAD – you have played many roles in both TV & film – which has been your personal favourite? It is hard to pick. I love Drusilla. I loved playing Loretta King in ED WOOD. I also loved an episode I did of LA FEMME NIKITA, which was directed by the creator of the show and creator of 24, Joel Surnow. I played two different characters and it was really a tour de force. As far as theater, my favorite would be Roberta from John Patrick Shanley’s DANNY AND THE DEEP BLUE SEA and Blanche from A STREETCAR NAMED DESIRE. What was it like working with Tim Burton & Jonny Depp on ED WOOD? It was the best! It was obscenely fun to go to work. I loved everything about the experience. I felt a real kinship with both Tim and Johnny and the way that they work. They are both passionate about things being the best that they can be. It was really fun to interview Tim recently for A PLACE AMONG THE UNDEAD. We reminisced about ED WOOD a lot. 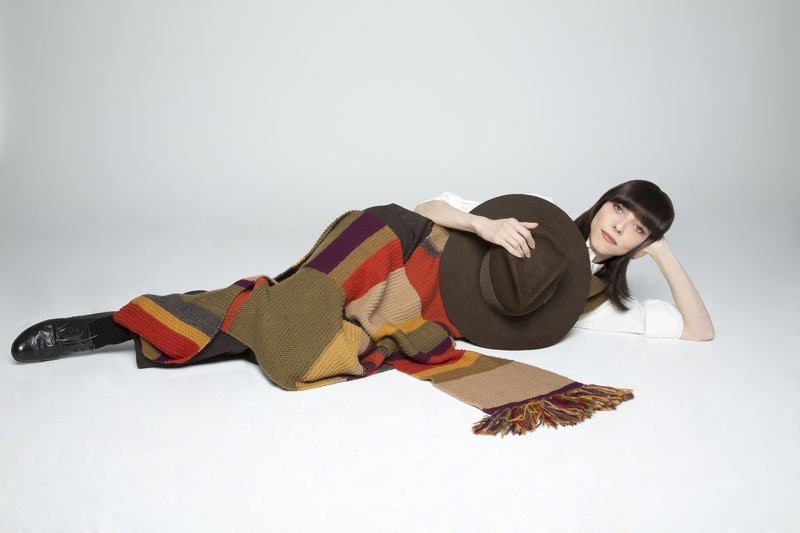 You entered the world of Big Finish and DOCTOR WHO in 2013 portraying Romana – how was this experience and would you like to return to Big Finish? I would love to return. 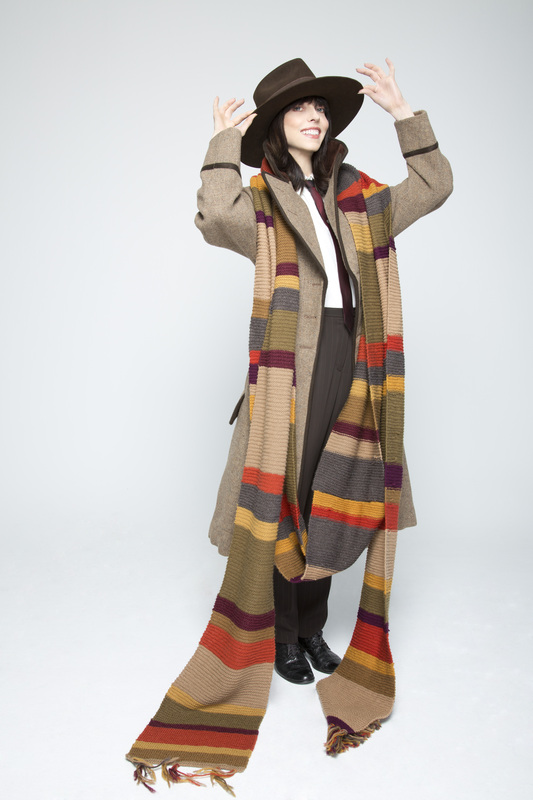 Romana was one of my favorite characters prior to this happening, so it was extra special. My husband’s favorite Doctor is Tom Baker, so he was in Heaven. I was touched to be asked to do the COMPANION CHRONICLE as a tribute to Mary Tamm. Her autograph was on the wall of the booth that I recorded in. I can’t pick one but I can list a few… I love ON THE WATERFRONT, GODFATHER 1 and 2, DOG DAY AFTERNOON, APOCOLYPSE NOW, THE FRENCH CONNECTION, SOPHIE’S CHOICE, MAP OF THE HUMAN HEART. If you could pick any role to portray what would it be and why? I have a couple I am trying to put together but it’s premature to talk about them yet. They both would be absolute dream projects/ roles. We saw you last year at Showmasters LFCC 2014 – do you enjoy attending conventions and meeting fans? Yes, meeting fans is fantastic. The most fun part of doing the Indiegogo campaign is interacting with the people who have become partners in making the film. We have a team working with us on getting the word out. They have named themselves “Landau’s Legion.” I never thought I’d be a gal with a legion! Will you be appearing in the UK again soon? Hopefully. No plans as of now. But we have some people in the UK who want to be interviewed so I may come over soon. Do you have any other upcoming projects for fans to look out for? I have two films, which should be coming out this year. WHERE THE ROAD RUNS OUT and THE BRONX BULL. I play an English missionary in one and a Viennese starlet in the other. A few other offers have just come in. And of course I will be continuing to work on both of our feature documentaries, A PLACE AMONG THE DEAD and A PLACE AMONG THE UNDEAD. The material is so vast. 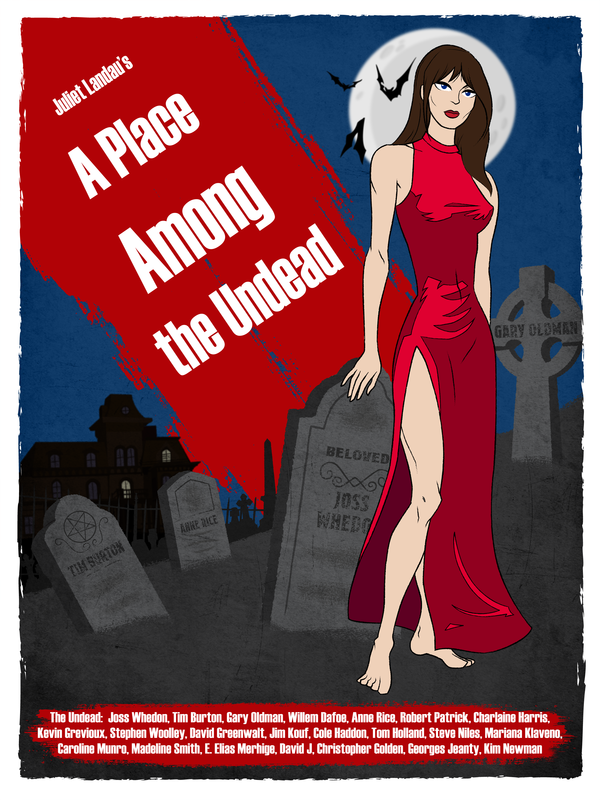 A PLACE AMONG THE DEAD, covers crime, reality / when people take the fantasy of vampirism too far. A PLACE AMONG THE UNDEAD covers every aspect of vampires in myth and pop culture: movies, TV, art, literature, comics, music, video games and young adult literature. Both are fascinating to me and I hope they will be to others!! I here i used to think female Vampires were just another bloody pretty face, lol go figure!